At ZTrend we love to shop, and we shop a lot. Our personal shopping services are straight forward 'personal shopping services'. What offer to you is what we do best, and that is shop independent retailers for special purchases. Unlike mass produced products ZTrend curates for you a beautiful selection of items that cannot be found in big box stores. As a writer and researcher for ZTrend's New York boutique shopping guide, I have extensive knowledge when it comes to quality, value, design and style. Perhaps you are looking for a special experience, to plan a date or create more value in your life. Take for instance, you are a coffee lover: One of my most favorite finds includes all the gourmet coffee you can drink for a monthly membership of $25. This includes espressos and French press cups. That in itself, not only will save you time and money, it creates an experience! As per your request ZTrend will locate a hard-to-find item or propose to you new gift ideas for that someone special. Payment is made on a flat per item fee basis, and that makes. 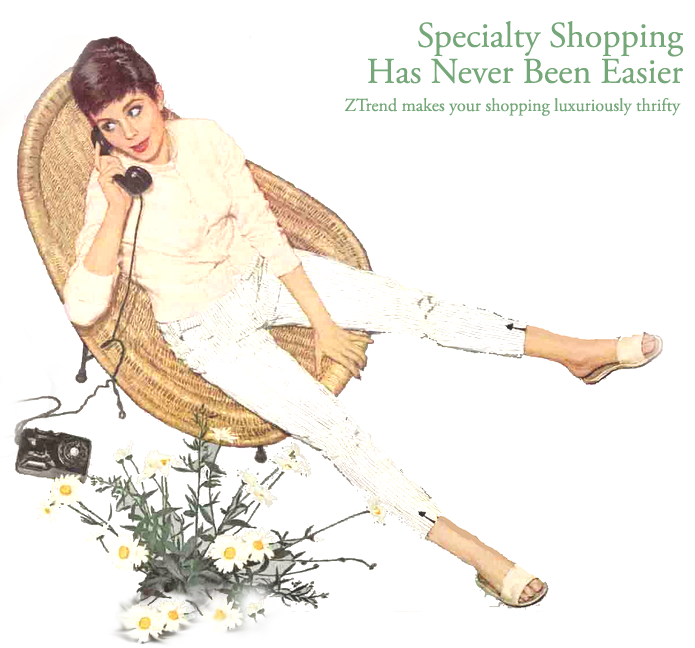 ZTrend's personal shopping a luxury service that anyone can afford. Time: It is makes good 'cents' to hire a personal shopper. Hiring the right personal shopper can save you time and money. They know where to look for things, and they have the time to do the research the average person doesn't have to spend on hunting for that special item. Ideas: Personal shoppers think out of the box. They are good at narrowing down what it is the client is looking for and coming up with creative solutions for special occasions and for people they find difficult to shop for. Fees: If you think you can't afford a personal shopper, think again. Did you know that personal shoppers tag on 10% - 20% over the cost of the item as their fee? Add a 20% fee onto a $100 purchase = $120. That's only $20 for someone to shop for you! Personal Touches: Personal shoppers do more than shop. They can gift wrap, sign cards and ship items too. With the age of the internet clients no longer need to have a face-to-face relationship with a personal shopper. In seconds, a personal shopper can take a snapshot and send it to the client for approval with their smart phone. Additional fees may apply to particular situations, such as travel, special delivery requests, and shopping within tight time constraints; New York State sales tax will be added to all fees and items that require taxing by New York State. Initial Contact: Please contact ZTrend to arrange a call to discuss your shopping desires by using our online contact form.